West Australian Universities unite to showcase the work of Teaching and Learning Grant projects across WA. With the transfer of the Australian Learning and Teaching Council to the Office of Teaching and Learning in DEEWR a range of National Networks has been funded to facilitate connections around the Scholarship of Learning and Teaching in Australia. Representatives will hold a workshop introducing their organizational aims and outlining how you can become involved. Peter Goodyear, ALTC Senior Fellow, 2010 Australian Laureate Fellow and Professor of Education at University of Sydney will present the keynote address: Sustainable innovation in higher education: learning, technology, design. Peter will be introduced by Professor Gary Martin, Senior Deputy Vice Chancellor, Murdoch. Professor Peter Goodyear, ALTC Senior Fellow and 2010 Australian Laureate Fellow, was one of a team of academics who led the campaign to save the Australian Learning and Teaching Council (ALTC), which contributed to the Federal Government retaining funding to support excellence in higher education learning and teaching through DEEWR. He will argue, successful innovation in Learning and Teaching has to take into account both the freedom of action (the ‘agency’) of teaching staff and the subtle, complicated and powerful ways in which their behaviour is influenced by their work environment. Full program details, abstract and biography can be downloaded here. To register for this event click here . A photo gallery of the days event is available here . The WAND sharing day is in its third year, being hosted by Curtin in 2009, and UWA in 2010. It is a mechanism for ALTC project holders and fellows to display information about their projects in a poster showcase. Recipients of completed or existing grants and fellowships are warmly invited and strongly encouraged to create a poster on their work and provide A4 handouts. Projects in their first phase are encouraged to take this opportunity for early dissemination. You will introduce your project with a two-minute talk, and then stand by your poster as interested participants mingle with the opportunity to discuss your work. Cards will be provided for participants to leave their details with you for future contact. We trust that you will leave with a list of valuable contacts for your project. We will provide you with a table and a pin up board. Please bring posters, flyers, business cards, or any other information about your project you may wish to display. Access to the internet will be available if you would like to show your website. Submit your poster as a PDF, which will be downloadable from this site. Please click here to register your interest or contact Denyse MacNish, 9360 7315 email: [email protected] for further information. The following poster presentations (pdfs) were presented at the WAND Sharing Day workshop. Project teams, individuals and organisations seeking to make sustainable improvements in the quality of higher education need to have a ‘theory of change’ capable of explaining how their interventions connect with desired outcomes. Such theories of change are often implicit. Members of a project team or working party may have different assumptions about the logic connecting their actions to desired outcomes; contradictions may not emerge until it’s too late to make affordable repairs. In this presentation, I will sketch some major social and economic changes that are affecting learning and teaching in higher education. I will argue that successful innovation in learning and teaching has to take into account both the freedom of action (the ‘agency’) of teaching staff and the ways in which their behaviour is influenced by the environment in which they work. (The same is true for students.) These environmental effects can be subtle, complicated and powerful. The environment itself has to be understood as a complex mix of the social, physical, digital and regulatory. Understanding how to re-­design influential aspects of the work environment can be a key to stimulating sustainable change. I will draw upon some of our recent research to help frame thinking and discussion about (a) the nature and limits of design (for education), (b) the role of educational beliefs, knowledge about teaching and learning, and other kinds of mental resources that are involved when students, teachers, educational developers and university leaders exercise educational agency. ALTC Senior Fellow and 2010 Australian Laureate Fellow, Professor of Education, University of Sydney. Peter Goodyear is Professor of Education at the University of Sydney, a Senior Fellow of the Australian Learning and Teaching Council and an Australian Research Council Laureate Fellow. 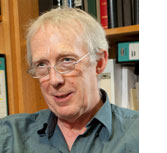 He is co-­director of the University of Sydney’s Centre for Research on Computer-­Supported Learning and Cognition. His research addresses educational implications of technological change. Over the last 30 years he has published widely on learning and teaching with new technology, the design and management of productive learning environments and the capabilities needed for successful participation in a knowledge society (learning to ‘think for a living’). He is editor in chief of Instructional Science -­ recognised internationally as one of the leading journals in educational research and the learning sciences. He has provided expert advice and consultancy to a wide range of organizations in the public and private sectors, in Europe, North America and Australia. The WAND sharing day will be held at Murdoch University's South Street Campus, Learning Link Building (highlighted below). All rooms are equipped with data projectors and computers. A map is available to download here . staff with current parking permits can park for free in carpark 5 because of the reciprocal parking arrangements with Murdoch. All others seeking parking will need a temporary $5 'scratchy' permit. We will provide these for free if you let us know. Please note visitors are not permitted to park in reserved or service bays and should they park in a visitor ticketed area a ticket must be purchased. Participants from other universities are encouraged to car pool where necessary. Allow extra time for delays due to Freeway road works near South Street. It is very easy to get to Murdoch by train. Allow 20 minutes to walk from the Murdoch train station to the campus, and there are regular bus connections (routes 206, 207, 850, 851 stop at Discovery Drive on south side of campus, route 98 stops at South Street entrance). Refer to the Campus Map for directions. The following handouts were presented at the WAND Sharing Day workshop entitled "National Networks".